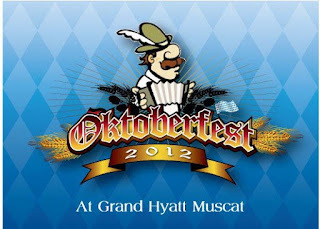 It's back again for it's 3rd year running, the Oktoberfest party thrown by the Grand Hyatt starts tonight at the Safari Rooftop and runs until November 9th. There is a genuine Bavarian band that has been flown in especially for the event, along with all the usual Bavarian goodies, such as Paulaner and, er, Pork. Oh and of course I can't forget the giant pretzels too! Tickets cost RO 29 plus taxes and gauging by the fun I had last time, I highly recomend it! 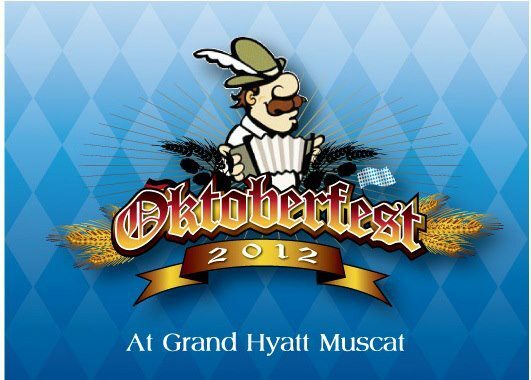 There is a facebook event page with all the information but all you really need to do is make a reservation by emailing muscat.dining@hyatt.com.